Your company has ideal customers that are unique to it. A persona is a fictional representation of your ideal customer. Fictional doesn’t mean fairy tale, however. You’ll use real demographics and behavioral data to make each persona a realistic representation of your ideal customer. Of course, your customers are more than just a collection of facts and figures. To make them more human, you add in educated speculation about such things as motivations, backgrounds, preferences and concerns. Demographics: This includes basic demographic data, such as age, gender, education level, career or business, etc. Profile: This reveals what the persona does, where she lives, and what she cares about. You might include how much time the persona spends on the Internet and what she does online, what her hobbies are, how much she earns, where she works, what kind of car she drives and whether she is a homeowner. You’ll also want to include what she reads and which kinds of memberships she has. Motivators: What are this persona’s reasons for choosing your brand? For example, does your brand help this persona save time or money? Does this persona choose your brand because of perceived value? Goals: What does this persona hope to achieve? Pain Points: What are the concerns your brand solves for this persona? Behaviors: What are this persona’s behavioral traits? Story: What is your persona’s backstory? Who is she? What does she want? What does she do? What are her needs and concerns? This is a brief fictional account of the customer’s overall traits. Once you have the data, plus behavioral data and story, you’ll want to codify each of the different personas into documents you and your team can refer to frequently. This could be a Word document, a Powerpoint, or an online doc which you can update easily. You might even blow up your customer personas poster-sized and hang them on the wall, so you’re constantly surrounded by the people you’re creating content for. Here’s an example of a persona I’ve developed for a client. Once you’ve compiled convincing personas of your ideal customer, it’s time to create content that fits each persona and speaks directly to her. Your goal is to create the right kind of content, but this doesn’t mean the right content for all of your customers. Instead, you want to match each persona with content that will move her through the inbound marketing continuum toward becoming a customer and even a brand promoter. For example, consider example personas A and B. Persona A is less tech-savvy and needs help understanding the hows and whys of your product while persona B is extremely tech-savvy but more budget conscious. 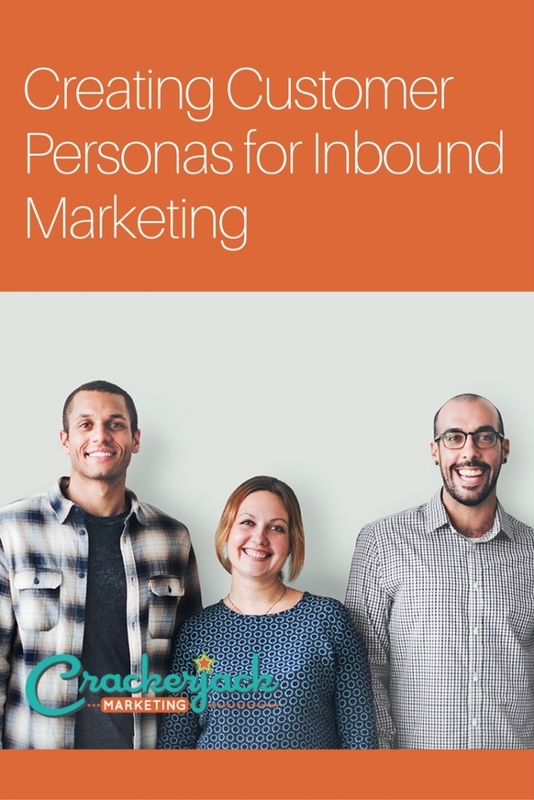 To engage and move persona A through the inbound marketing continuum, you’ll want content that primarily teaches, while persona B may better respond to content that helps him compare choices. Here’s an example of how you might align content to personas. Once you’ve created your main customer personas, you won’t need to do this entire exercise from scratch again. You should, however, look at your personas critically every six months to a year, to determine if you need to adjust them, add or drop personas, or update them with new data. 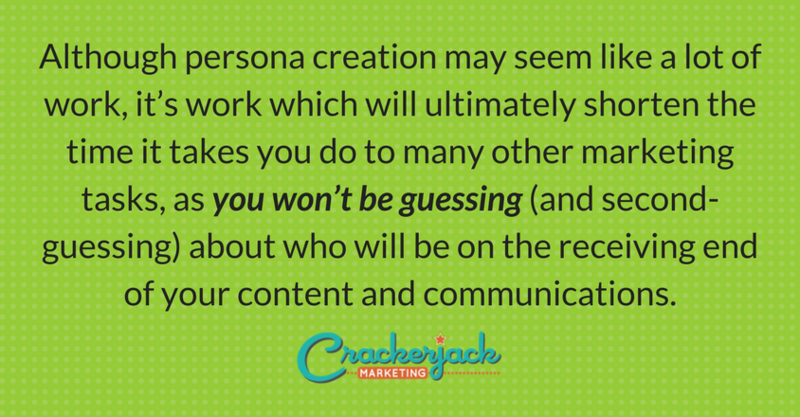 Although persona creation may seem like a lot of work, it’s work which will ultimately shorten the time it takes you do to many other marketing tasks, as you won’t be guessing (and second-guessing) about who will be on the receiving end of your content and communications. 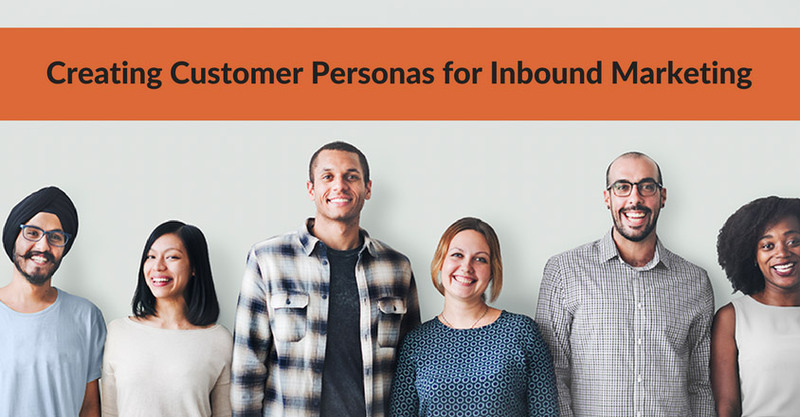 Have you used customer personas in your marketing? Do you have ideas or strategies to share? Please leave a comment below! This post is part of a series on how to use inbound marketing in your company marketing efforts. You may also be interested What Is Inbound Marketing, 7 Key Assets for Inbound Marketing, and 4 Steps to Creating a Content Marketing Engine.